For availing a lucid insight into the efficacy of SMO services in India, we need to emphasize on the path of inclusion of social media as a tool for promoting online businesses. Social Media Optimization is similar to SEO only in terms of the suffixes while the differences between either arise from the platforms on which they operate. The former implements optimization procedures on social media which are distinct from those followed in search engine optimization. 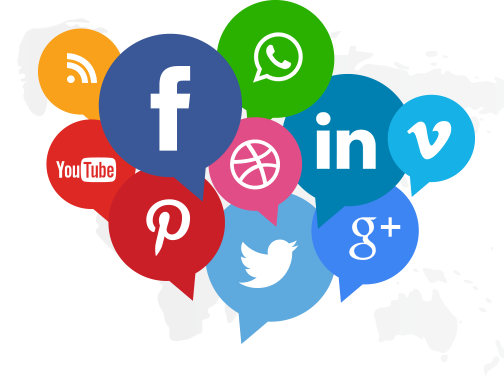 We at SEOPhalanx, focus on the intricate methodologies which can reel in substantial online traffic for your website through various social networking media. What Defines SEOPhalanx as a Legitimate Provider of SMO Services in India? A steadfast team of expert SMO and SEO personnel which can vouch for feasibility of your marketing campaigns. The token of trust is rendered upon our clients along with our services. Clients have the privilege of monitoring reports on the progress of their campaign on a daily basis. Not only do our services vie for attaining higher search ranks for your website but also are targeted towards consistency. All the websites under our jurisdiction are attended to on a regular basis and ranks are kept under tab. There is no immediate reason to doubt the services we offer at SEOPhalanx. The authentic strategies followed here enable us to be one of the preeminent providers of SMO services in India. If you are skeptical regarding this, then feel free to read through the list of different procedures followed by us. Our team follows the trending technology of internet and social media which has the world in its grasp. Eight out of every ten individuals in this world possesses a mobile phone or a computer. The internet has successfully accomplished connections between all sorts of such devices and product marketing is no more limited to posters, flyers and door to door campaigns. Marketing has shifted places and now the World Wide Web has turned into a hunting ground for majority of entrepreneurs and top marketing personnel as well. The foremost procedure to be executed is the creation of professional looking profiles on various social media websites. The profiles are maneuvered towards a greater audience through addition of ingenious and authentic content. Other improvisations can be made by modifying themes and adding videos to enhance the aesthetic appeal of the profile. Massive database to maintain the list of websites for showcasing your website. This process would ensure a larger traffic for a website since traffic redirected from numerous social media sites would obviously be higher. How Is Your Website Circulated in Social Media? SEOPhalanx adds sufficient effort into facilitating prudent SMO services in India. Thus our team does not lag behind in propelling your website on social media. Discussions regarding your products are made prominent in forums and communities on social networking sites thus increasing the online visibility of your website. You can count on us regarding the publicity of your website with our impeccable SMO techniques.